The Memorial Candle Program has been designed to help offset the costs associated with the hosting this Tribute Website in perpetuity. Through the lighting of a memorial candle, your thoughtful gesture will be recorded in the Book of Memories and the proceeds will go directly towards helping ensure that the family and friends of Bella Ladiana can continue to memorialize, re-visit, interact with each other and enhance this tribute for future generations. It is with great sadness that the family of Bella Ladiana announces her passing on May 9, 2018 at the age of 62 years. 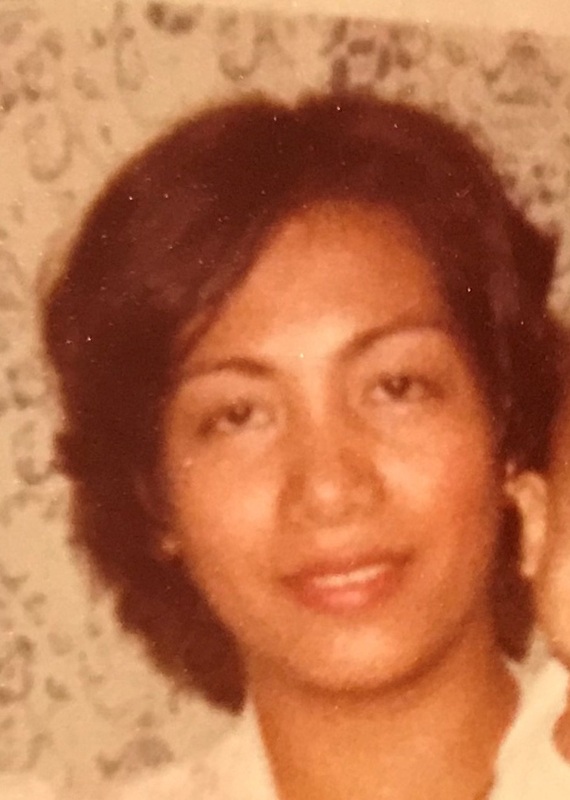 Bella will be lovingly remembered by her husband of 41 years, Reynaldo and her children, Nomer (Grace), Jay (Dona), Marie, Angel, and by her grandchildren, Brayden, Adriel, Mikko, and Kian, and siblings Maritess, Fely (Donnie), Edgar (Cheliz), and nieces and nephews Vincent, Angelo, Ronnie, Christine, Lou, Joy, and Kim. She is a humble, generous, and a down-to-earth person, a mother and loving wife, prayerful and strong willed, and a good friend. Bella is the third child of 4 siblings. She was a scholar from 1st to 4th year high school. 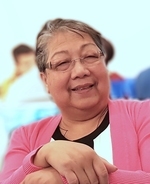 She graduated from the University of the East in the Philippines in 1976 with a degree in Business Administration and became a Certified Public Accountant (CPA) in 1979. She was a manager at Nauru Airlines and Shipping Agency in Makati City, Philippines, and her work has given her the opportunity to travel to Singapore, Australia, and Hong Kong. On December 15, 1990 she and her family migrated to Winnipeg, Manitoba, Canada. Unbeknownst to her and her family that the decision to migrate would save her life. She was diagnosed with severe Aplastic Anemia in the early part of 1992 and was hospitalized at the Health Sciences Center. She had a rare disease which resulted in the total failure of the bone marrow to produce blood cells. Transplantation of the bone marrow was necessary which was harvested from her brother Edgar Regunay in the fall of 1992. A relapse occurred a year later which involved another bone marrow transplant in 1996 but this time, it was a complete success. However until her death, she has had many health related challenges one of which involved a kidney transplant in 2007. But with her involvement in a Catholic lay ministry called Couples for Christ (CFC), she had strengthened her faith. She became a very prayerful person, she read her bible everyday, and she actively served with her husband in CFC and later the Handmaids of the Lord. Her renewed relationship with God and her strong faith was what kept her strong in the face of many adversities. A remembrance service in memory of Bella will be held on Friday May 18, 2018, 6:00 PM at Mosaic Funeral, 1839 Inkster Blvd, . A funeral mass will be held on Saturday May 19, 10AM at St John Cantius Church, 846 Burrows Ave.
Interment to follow at Chapel Lawn Memorial Gardens, 4000 Portage Ave at 11:30 AM. To send flowers to the family of Bella Regunay Ladiana, please visit our Heartfelt Sympathies Store.